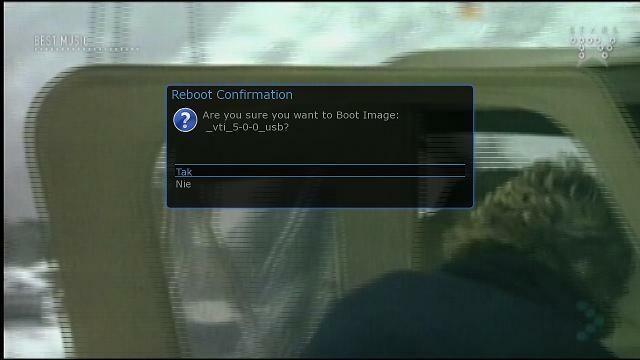 Press OK button and Meoboot will be installed. 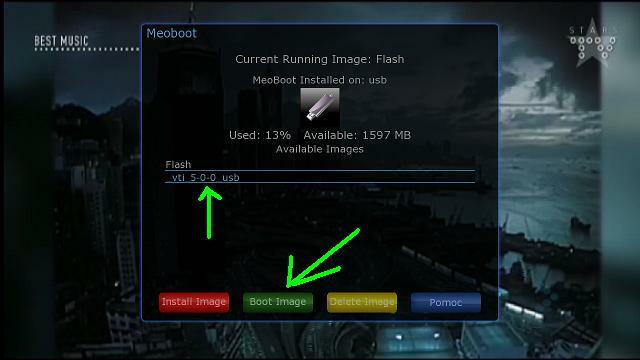 4} Now you need to copy an image from your PC to your box (using your favourite ftp program). They go into the directory /media/meoboot/MbootUpload. 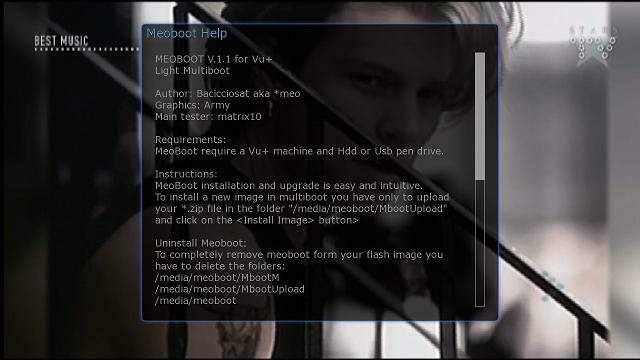 Image must be in zip format because Meoboot ignores all others. 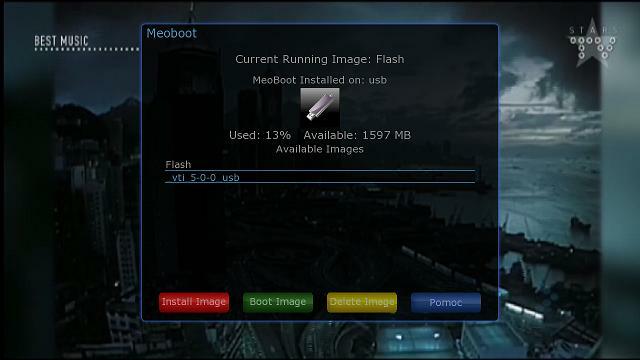 5} Now go back to your box and in the Meoboot plugin you will see the how much free space you have to install new images. The size of your usb stick will determine how many images you can install, with my stick I have 2gb free space, which is now my flash size. 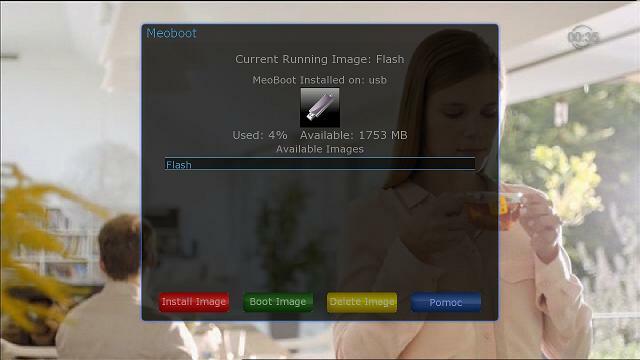 7} Press Red button and Meoboot will ask you to give your new image a name and also ask if you want to copy your current settings from your main flash image to your new Meoboot image. 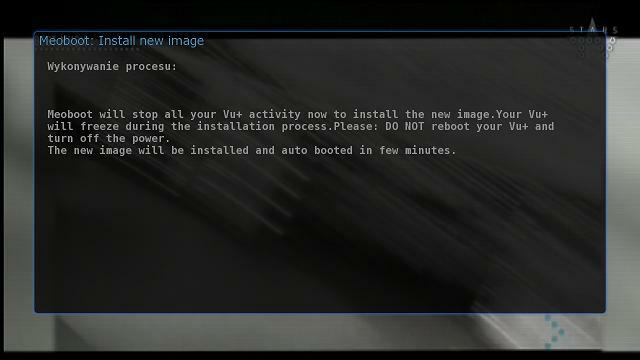 When installation is complete your box will automaticly reboot and the new image will be selected to boot from.